Facebook has been the Internet’s darling for the past eight years, throwing the funnest party on the internet that everyone wants to attend and marketers want to use to their advantage. Before the dawn of Facebook’s triumph, Google reigned supreme as the go-to solution for Internet Marketing. 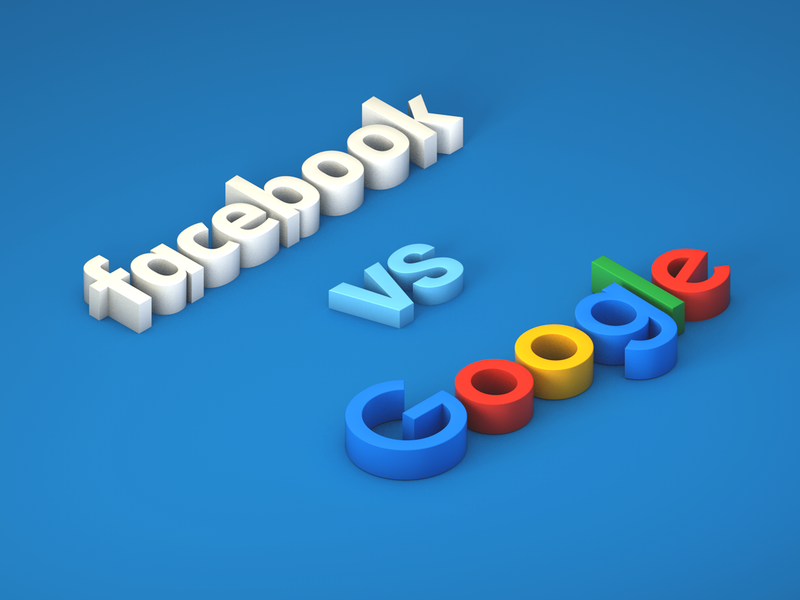 Facebook has managed to steal a lot of Google’s thunder, but a recent study has show that even though Facebook has all the hype, Google’s display ads are eight times more effective than Facebook’s. According to a study by WordStream released on May 15th, when it comes to online display advertising, Google provides advertisers with “significantly more value” than Facebook in terms of growth rates, performance, targeting options and formats. Can you imagine throwing away 8 dollars for every dollar you earn in your lead generation campaigns? Well that’s kind of what you’re doing if you invest in Facebook display ads right now. First, let me say that you can generate leads effectively on Facebook. Engagement levels on Facebook are higher than most other networks. But the methods for effectively generating leads through Google and generating leads through Facebook are completely different. With Facebook you are trying to create content that is original, engaging and shareable. You shouldn’t pay for ads on Facebook, you should build a network so that your original content serves as a free advertisement for your business. With Google you would need to by CPC ads to find customers who are already interested in the category of items you’re selling. The reason why Google’s display ads are more effective than Facebook’s is because consumers use Google to find things they’re looking for and are already interested in purchasing. Facebook display ads just show up randomly to users regardless of whether they already have an intent to purchase. For that reason, Facebook’s Display Ads aren’t that great right now. They could definitely get better in the future and have better click-through-rates, but as it stands, Facebook isn’t able to match ads to users’ shopping desires. The problem with deriding Facebook for having bad click-through-rates on their display ads is that Facebook marketing is supposed to “Inbound Marketing,” meaning advertisers work on building up a network of followers and present them with content that leads them to a landing page. Marketing on Facebook should be focused on consumers finding you, whereas on Google you are doing “Outbound Marketing” trying to get find the consumers who are interested in products like yours. This entry was posted in Lead Generation System / Sales Software Best Practices and tagged CPC ads, Facebook display ads, generating leads, Google Display Ads, internet marketing, lead generation campaigns on May 16, 2017 by Gabriel Buck.